Chemical resistant pumps are made specifically for use with light chemicals. They are made from higher quality materials, than standard submersible pumps, and use specialist parts. They are not for use with highly corrosive chemicals, however, if you are not sure please seek advice before use. 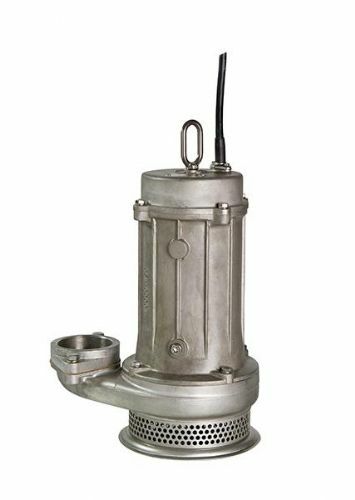 The submersible chemical pumps are made from stainless steel, thermoplastics and have elastomers in Vitron rubber with mechanical seals in silicon carbide specifically designed for these particular pumps and intensive use. Below left, is the Mizar chemical pump, made from stainless steel to prevent corrosion due to salt water or chemicals. Below right, is the BPS pump which is only suitable for water and as you can see it is constructed from plastic which the chemicals may erode. Our engine driven chemical pump is constructed from glass reinforced polyester with stainless steel fasteners and EPDM rubber components. Due to the way the pump is constructed, it will handle most detergents and many agricultural chemicals, salt water, and has many industrial uses. This range of pumps must meet basic corrosion resistant standards. However, if you are looking to use these with any chemicals for which you don’t know the exact properties or corrosion effects, we would always recommend you contact us. Although these pumps are labelled as chemical pumps they are also designed to handle salt water. 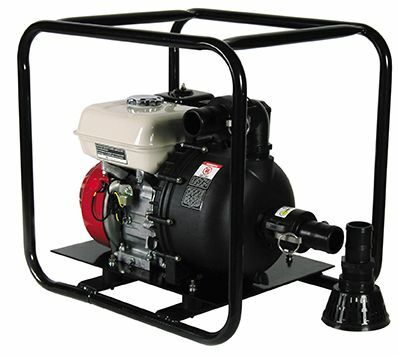 There are two main types of chemical pumps which we supply, engine driven or submersible. They are both designed for the use with light chemicals and salt water. Whether you need a submersible or engine pump they both have the same result. The submersible models are small, lightweight and very quick to use. These are more common in emergency situations where an electric power supply is available, often used by utility companies and kept on board their fleet for quick response. These can also be installed as a permanent fixture as they are available in both manual and automatic models. Once you know the liquid you need to move i.e. salt water or what type of chemicals, it then depends on how quickly you want to remove or transfer the liquid. For this simply check the flow rates of the pump: they are displayed in litres per min. When you know what liquid you are moving and how quickly it needs moving, you then need to know if the location has a power supply. If not, you would need an engine driven pump as this does not need electricity like submersible pumps. Please note you can’t use the engine pump indoors as they emit exhaust fumes. The submersible pumps are available in 110v or 230v and some models are available in 400v.